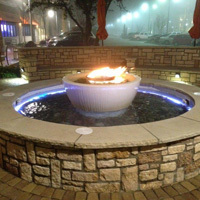 It is our recommendation that you have an area at least 20 foot by 20 Foot to accommodate the Feature as well as seating. 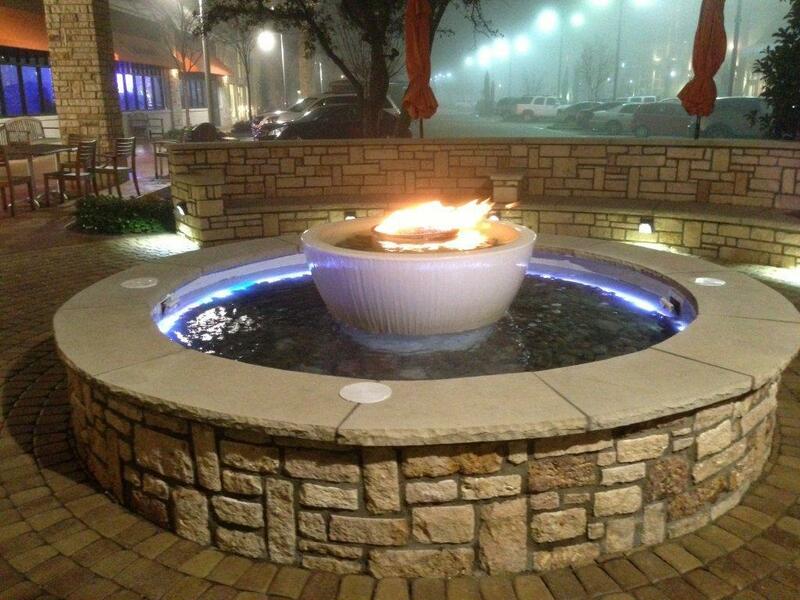 Backyard Blaze offers this amazing 360 degree Fire and Water Feature that is sure to enhance any Landscape Design. 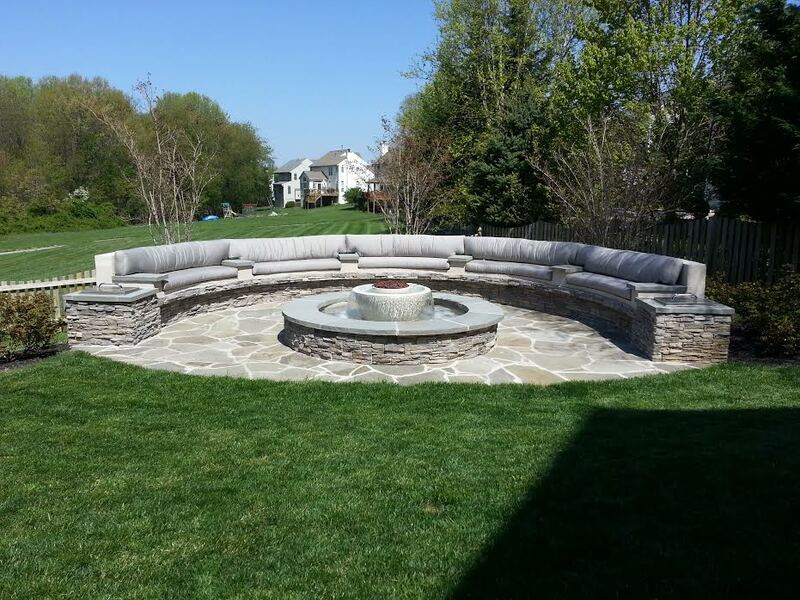 Enjoy yourself Relaxing around our Award Winning Design. 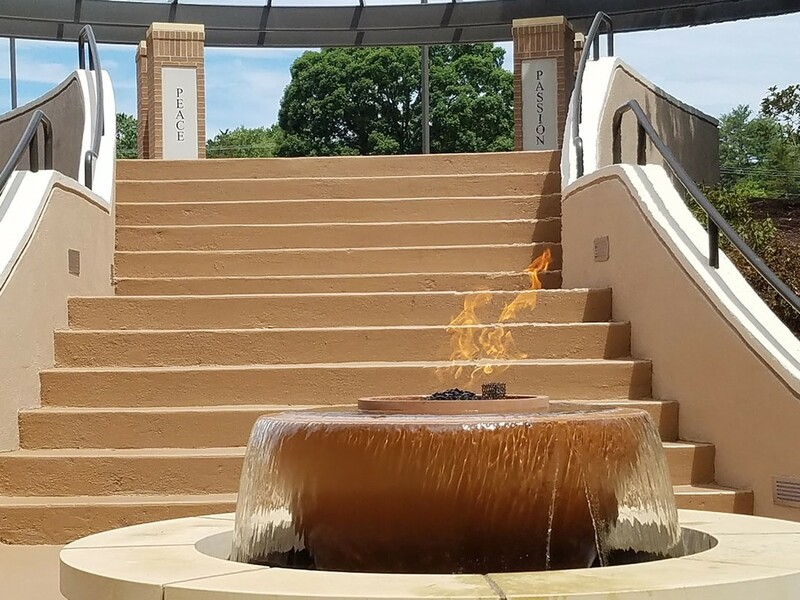 This Main Fire and Water Feature deliver’s a Soothing Sound of Tranquility while you are Memorized by an Outstanding Fire Feature. 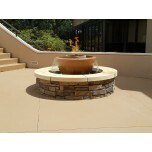 Use this unique design in a Residential or Commercial Application and own a piece of art that others will envy. 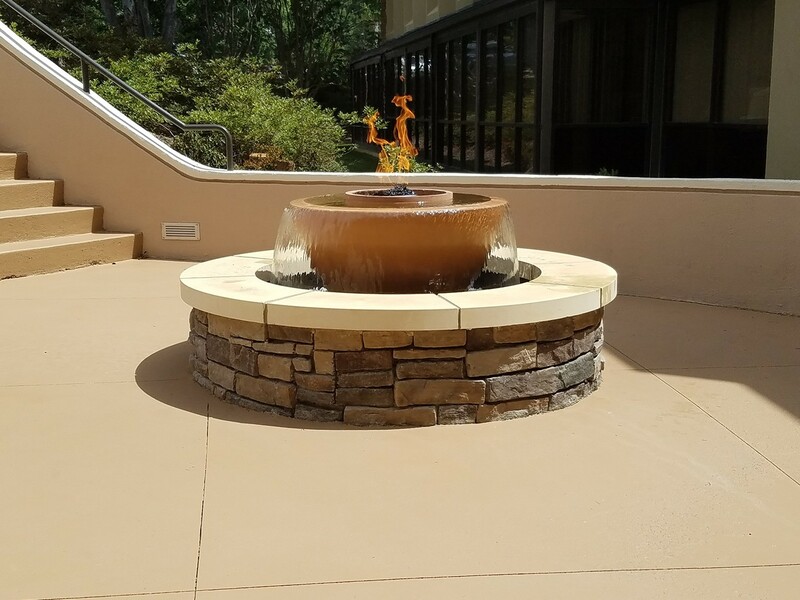 Our proprietary design allows this feature to deliver a consistent flow of sheer water decent while separating the fire from the water. Included with this design is our State of the Art Automated Remote Module; AWEIS-1 (All Weather Electronic Ignition System). 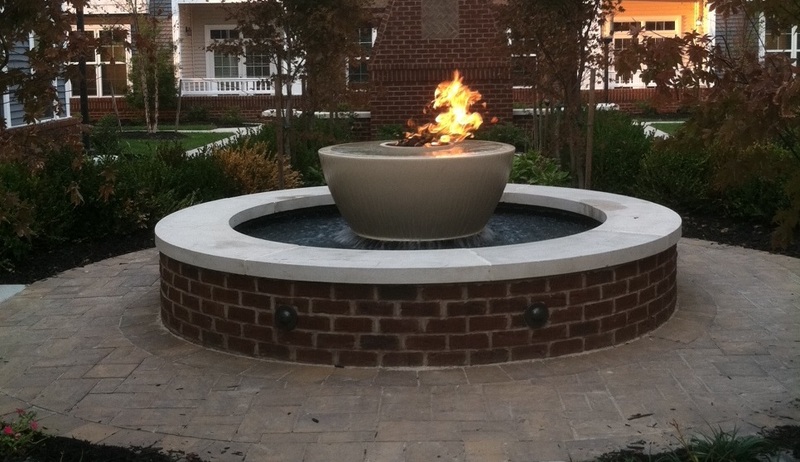 This System allows you to operate your Fire Feature Remotely with a hassle free switch. 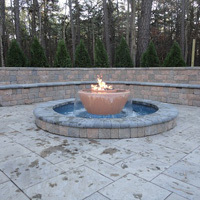 Backyard Blaze Fire Feature (AWEIS-1) is Certified with a World Wide Recognized Seal of Certification. 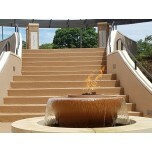 We have provided you with all the information you will need to make ordering this product easy. Above are PDF’s that will give you the measurements and plumbing for placement. 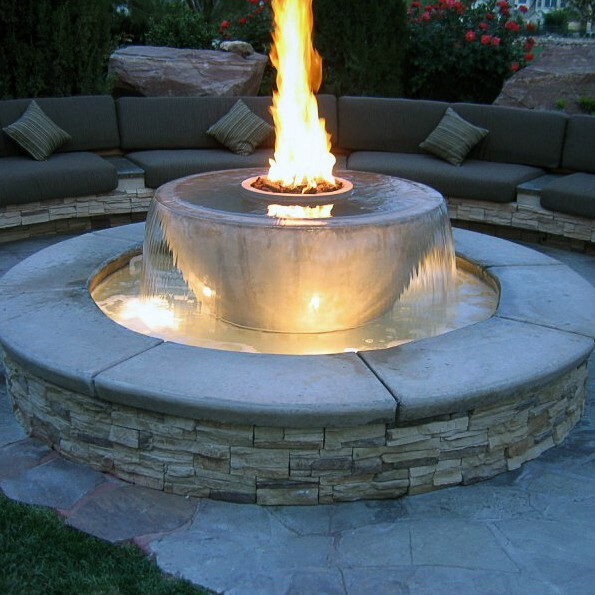 Note: Backyard Blaze does not include providing you with any part of completing the lower basin for this project. 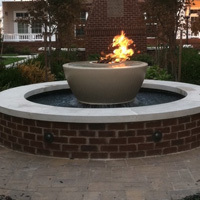 You will need to consult with a Contractor to design the lower basin. Please feel free to review all of the information provided on this category and print any PDF’s for design consulting.